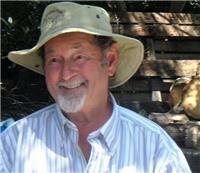 JOHNSTONE Ian and Margaret (nee Currie) Married on April 19, 1969 in Otautau Congratulations on your 50th wedding anniversary! Love and best wishes from Michelle & Jason, Bailey, Kelsey, Aaron & Sarah, Kirsten & Rhys, Max, Reuben and Toby. FENTON David and Shirley (nee Weston) Are celebrating their 60th wedding anniversary. 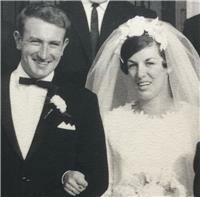 They were married on April 11, 1959, at Colombo St Baptist Church, Beckenham. Congratulations and best wishes from your family. 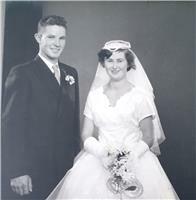 KEMPT Bill and Earlene (nee Wahl)Were married on April 11th 1959 at St Paul's Presbyterian Church, Pahiatua. Congratulations and best wishes on your Diamond Wedding Anniversary. With Lots of love from all the Family and Daisy.